Findings indicate that: (a) MTurk participants are slightly more representative of the U.S. population than are standard Internet samples and are significantly more diverse than typical American college samples; (b) participation is affected by compensation rate and task length but participants can still be recruited rapidly and inexpensively; (c) realistic compensation rates do not affect data quality; and (d) the data obtained are at least as reliable as those obtained via traditional methods. 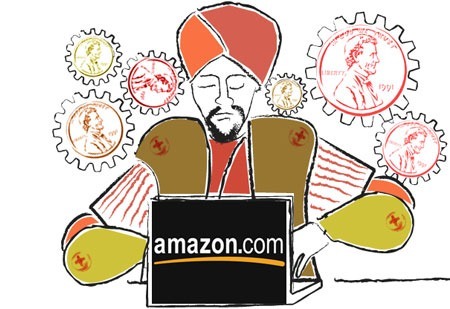 Mechanical Turk (MTurk), an online labor market created by Amazon, has recently become popular among social scientists as a source of survey and experimental data. The workers who populate this market have been assessed on dimensions that are universally relevant to understanding whether, why, and when they should be recruited as research participants. We discuss the characteristics of MTurk as a participant pool for psychology and other social sciences, highlighting the traits of the MTurk samples, why people become MTurk workers and research participants, and how data quality on MTurk compares to that from other pools and depends on controllable and uncontrollable factors. Although participants with psychiatric symptoms, specific risk factors, or rare demographic characteristics can be difficult to identify and recruit for participation in research, participants with these characteristics are crucial for research in the social, behavioral, and clinical sciences. Online research in general and crowdsourcing software in particular may offer a solution. 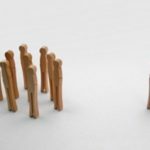 […] Findings suggest that crowdsourcing software offers several advantages for clinical research while providing insight into potential problems, such as misrepresentation, that researchers should address when collecting data online. We argue that online experiments can be just as valid— both internally and externally—as laboratory and ﬁeld experiments, while requiring far less money and time to design and to conduct. In this paper, we ﬁrst describe the beneﬁts of conducting experiments in online labor markets; we then use one such market to replicate three classic experiments and conﬁrm their results. We conﬁrm that subjects (1) reverse decisions in response to how a decision-problem is framed, (2) have pro-social preferences (value payoﬀs to others positively), and (3) respond to priming by altering their choices. Although Mechanical Turk has recently become popular among social scientists as a source of experimental data, doubts may linger about the quality of data provided by subjects recruited from online labor markets. We address these potential concerns by presenting new demographic data about the Mechanical Turk subject population, reviewing the strengths of Mechanical Turk relative to other online and ofﬂine methods of recruiting subjects, and comparing the magnitude of effects obtained using Mechanical Turk and traditional subject pools. We further discuss some additional beneﬁts such as the possibility of longitudinal, cross cultural and prescreening designs, and offer some advice on how to best manage a common subject pool. I review numerous replication studies indicating that AMT data is reliable. I also present two new experiments on the reliability of self-reported demographics. In the ﬁrst, I use IP address logging to verify AMT subjects’ self-reported country of residence, and ﬁnd that 97% of responses are accurate. In the second, I compare the consistency of a range of demographic variables reported by the same subjects across two different studies, and ﬁnd between 81% and 98% agreement, depending on the variable. Finally, I discuss limitations of AMT and point out potential pitfalls. Separate but equal? A comparison of participants and data gathered via Amazon’s MTurk, social media, and face-to-face behavioral testing (Computers in Human Behavior, Nov2013). Brawley, A. M., & Pury, C. L. (2016). Work experiences on MTurk: Job satisfaction, turnover, and information sharing. Computers in Human Behavior, 54, 531-546. Tosti-Kharas, J., & Conley, C. (2016). Coding Psychological Constructs in Text Using Mechanical Turk: A Reliable, Accurate, and Efficient Alternative. Frontiers in Psychology, 7, 741. Most of the low paid participants used to be Indian. Their level of English proficiency varies, but you can test this to use as a control variable or disqualifier, or you can even set this as a requirement on MTurk before they complete the survey (especially for the longer higher paying surveys, not so much for the 3-5 minutes surveys). If you’d rather eliminate this sample altogether MTurk allows you to specify which countries you would like to include or not include in your task. Limit running the experiment to those who successfully completed atleast 100 HITs before and 95% acceptance. After each scenario I run a quiz to test their understanding. Obviously, every part includes a check. A manipulation should always be tested, better with more than a single manipulation check. 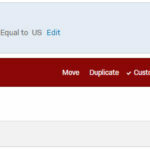 Add a timer for each page and include a check in your stat syntax to test whether they answered too fast. 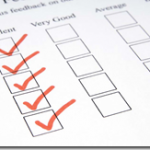 Include a funneling section and ask them what the survey was about and set a minimum characters answer. Go over the answers to see who puts in noise. Ofcourse, if you included a manipulation also test for suspicion and ask them what they thoughts the purpose was or whether they can see any connection between the manipulation and your tested DV. It goes without saying that you should test your survey before setting it off to the wild. But, very important point is to set email triggers and see that the answers you get are what they should be. It happened a few times that I discovered something wrong within the first ten participants, so I stopped the batch, corrected the mistake and restarted everything. There’s a special concern with participants from India. Though I try not to stereotype and generalize, but some studies that haven’t worked well with an international sample have worked very well on the rerun with the rule : “Location NOT India”. Comprehension questions to make sure they understood the scenario or what they need to do in a task. Quiz questions about scenarios that they have to get right to proceed. 2 or 3 manipulation checks may work better than a single one. Randomizing question sequence and options for each section. Adding a timer to all questions to check how much time they spent on each page and when they clicked on things. Between subject manipulations are better than a simple survey since different participants see different conditions and hence reduce the chances of simply sharing answers. There’s no escape from going over the answers in detail, checking the answer timing, checking for duplicates and reading the funneling section. Consistently, about 20-35% of the MTurk answers fail this. 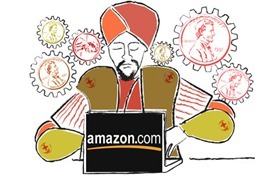 There’s also a very helpful blog I strongly recommend that you visit – Experimental Turk which titles itself as A blog on social science experiments on Amazon Mechanical Turk. It hasn’t been updated for a while, but some viable info in there. Preventing MTurkers who participated in one study from participating in certain other studies – Turk Check. Got any other MTurk tips? have you had any experience running experiments on MTurk? Do share. I’m looking for an help in connecting my WordPress website – brain research study -to Amazone Mechanical Turk. Can you make any recommendations? Hi Orly, I’m not exactly sure what you mean by connecting a wordpress website to MTurk. In what way? what are you trying to do? Hi Gilad, my reserch study is long ,for 3 diffrent groups . i did a wordpress web site. I would like to link the website to Turk.